Martti, OH2BH will be active as A52BH from Thimphu, Bhutan, 24 - 30 October 2018. Martti Laine, Savasundintie 4C, 02380, Espoo, Finland. 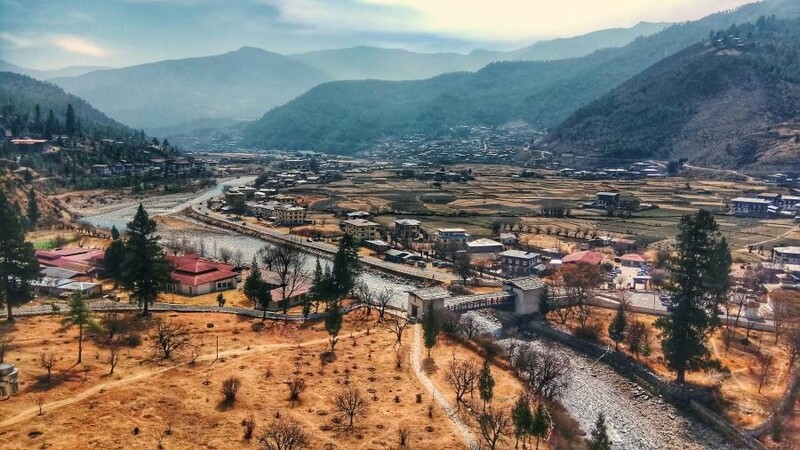 Paro, Paro, Bhutan. Author - Sadiqul Shehab. Martti, OH2BH remain Bhutan as A52BH on all-bands. While the A5A CQWW team is leaving today (Tuesday), the station will remain QRV as A52BH until Monday next week. The activity will utilize the permanent A5A set-up with multiple beams plus verticals on 160M and 80M. This early in the season the low-band (NA) windows were found extremely narrow but they were there. Martti will concentrate on the 160/80M U.S windows (UTC 21.00 - 00.00 and UTC 11.00 – 15.00) CW only. On 40M there is a new 3 element beam for both CW & SSB. The QTH is at 2300 meters ASL at the campus of the Royal Thimphu College (RTC). The winter is currently settling-in in the Himalay mountains, and the night temperatures are already well under the freezing point. As we say good-bye to the camaraderie of Franz, DJ9ZB, Champ, E21EIC, Jin, JF1IST and Zorro, JH1AJT, we are all grateful to Zorro, JH1AJT for making A5A - and this extended - stay possible. What a wonderful time it was with people of Bhutan. There is no doubt that these people care and make their visitors feel welcome. When I opted to stay here for an additional five days after my CQWW fellow operators had left, I did not know what lay ahead. Now I know that visiting my last Asian country was a very rich experience. It was no wonder that the late Gus Browning, W4BPD stayed here much longer than normal during those other years. Radio wise, I set a quota of 1000 QSOs per day to reach the 5000 mark, which I did this morning at 19.00 UTC, with LA4LN being the last one. As the bands are closed for most of the daylight hours, this target gave me plenty of time to socialize with people; not only with locals, but also with a group of 23 American youth from Colorado, who arrived here and lived with me at the Royal Thimphu College (RTC). Openings to the U.S were challenging, as every day was different from the others. On two days, I was able catch a good opening on 30M. Forty meters was the other band that helped me reach the U.S. The pileups were huge in those narrow windows with a multi-echo. Twenty meters was disappointing, as it did not open anywhere during my stay. I will have the QSOs on ClubLog upon my return home. On my way, there will be another stop-over - in Bangkok - to meet Champ, E21EIC. I would like to thank Zorro, JH1AJT with the SEISA group for allowing me to use the A5A station and for sorting out those needed formalities, as entering Bhutan is not an everyday fiesta. Having Zorro’s endorsement and support made my stay one to be remembered.